Have you been using email marketing and not getting the desired results? Chances are that you are making some of these mistakes mentioned below. Avoid these missteps to get the desired results from your email marketing campaigns. The first and the most important step in any email marketing campaign is selecting the right mailing list. The emails you send must be relevant to the one reading them. Sending your emails to the wrong set of people is a terrible mistake that you must avoid. For example, it is of little use to send engineering course details to commerce students. This usually happens when you buy email lists from third parties. It shows your lack of interest in making a personal connection with your customers. People might even mark your emails as spam, which takes away the effectiveness of your email campaigns. The type of message you deliver to your existing customers should not be the same as the one you give to your prospective customers. Not personalizing your emails and sending the same content to everyone is a terrible mistake most people commit. If you are making this mistake, divide your email lists into different segments and send content that will be relevant for the receiver. Each segment of customers needs different content. You must have an objective for sending an email. Do not ever send an email without having a clear goal in mind. Only send emails or newsletters if you have something important or useful for the readers. Sending junk mails without any objective will not be received well by your readers. Do not send emails too often. 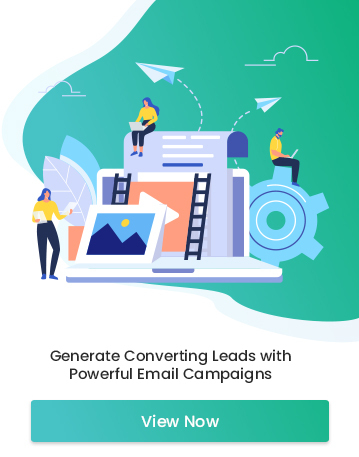 If you are sending useless emails too often, there are chances that your readers might mark your emails as spam or junk mail. You must test each of your emails before sending them out. If you are using applications like MailChimp for your newsletters, send a test mail to yourself and see how it looks. This will give you a chance to evaluate your email from your readers’ point of view. Check for spelling and grammatical errors. Check each and every link and see if they work. Keep in mind that you can’t do anything once the mail is sent. This mistake is common nowadays. Sending out an email campaign from this type of email address will make it impossible for your customers to respond. What’s the point of sending out these campaigns if you don’t want your customers to contact you? Not making your emails short and to the point. Writing an email is the hard part. Make your emails short and easy to understand. Use simple words. Never make the mistake of writing lengthy, boring emails. Try to limit your emails to 250 words maximum. Nobody reads long boring content in emails. If you have a large article that you want to share with your customers, give links to that article instead of stuffing the entire article on to the email. The subject line is one of the important parts of your email campaign. It is what makes your readers open your emails. Most newbie marketers fail to give attention to their subject line. The subject line has to be short and attention-grabbing. Using click baits in subject lines is common nowadays but make sure that it is related to the content you provide. If you do not meet your customers’ expectations, people are going to unsubscribe from the list. I receive tons of emails with images alone almost every day. This is perhaps the biggest blunder most people make in email marketing nowadays. Most people have images blocked in their mail. If you put all your content in an image, the readers might not even see your email. It is recommended that you use 50/50 or 60/40 text to image ratio while making an email. This way, your readers at least get to see your emails. About 70 percent of your readers will be reading your emails on mobile devices. If you haven’t optimized your emails for mobile-viewing, you are making a very expensive mistake. You need to format each of your emails to make it easy to read on a small screen. Use images that are not wider than 600 pixels. Test your emails on mobile devices before sending them out. The whole point of sending an email is to make your readers take action. If you fail in this task, your efforts are wasted. This is why you need a call to action button that is eye-catching and visible. Place your call to action button where your reader can easily see it. Here are some places where you can place your call to action button. At the end: As it is very common in emails, many people expect the call to action at the bottom of the page. Right after making the most important point in your email. To the right or below the email content. 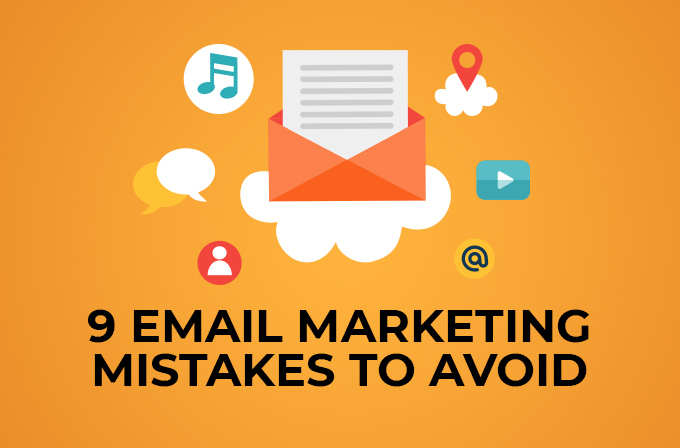 Now you know the top email marketing mistakes that marketers new to email marketing make. Avoid these mistakes to run a very effective email marketing campaign. If you need help running your email marketing, feel free to contact us.